There is a significant chance you can see an aurora around here tonight---assuming you can get away from the infernal low clouds. 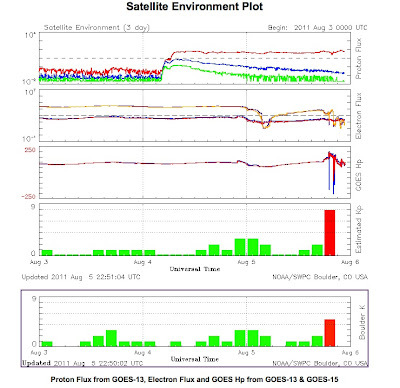 There was a major solar storm yesterday and the impact is starting to be felt today in the earth's upper atmosphere. 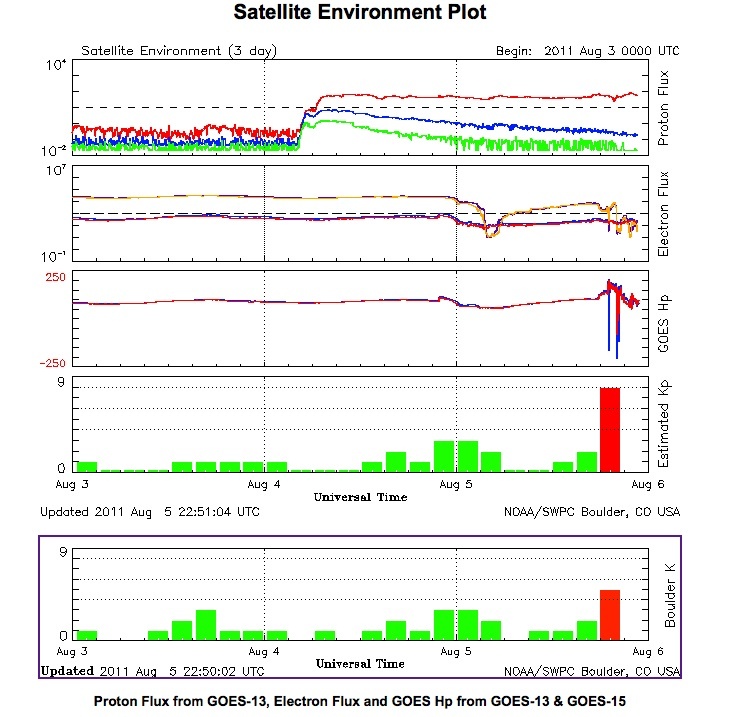 Here is a plot from the NOAA Space Weather Prediction Center (SWPC). The yellow line is for a Kp of 7 and it appears we have that....so the aurora could well be visible tonight if you have a view of the sky. The NOAA polar orbiting satellite can actually view auroras and here is the latest graphic (2243 UTC, 3:43 PM our time). 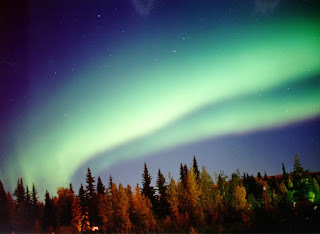 The reddish color indicates the aurora and the position of solar noon by the red arrow. Compare this to one day ago. A big difference. There are no guarantees in this aurora business, but there is a decent chance you can see an aurora tonight if the sky is clear. Major problem for those west of the Cascades...the low clouds. Here is the latest visible satellite image. Eastern Washington and above roughly 3000 ft will be clear. You simply have to get over the crest. Possibly ok, at least initially, in the Willamette valley and near Victoria and north of Bellingham. But the low clouds will deepen and spread again this evening on the west side.